(hla) HAZE has once again hit Southeast Asia! The Air Pollutant Index (API) reading in Kuala Lumpur has exceeded 100. According to the National Environment Agency in Singapore, the index of 0 to 50 can be considered green while any value in the range of 101 to 200 is deemed 'unhealthy'. Severe haze can aggravate respiratory illness symptoms, which can affect chronic lung or heart illness sufferers. Being exposed to haze may also irritate the eyes and trigger coughs and sneezing. Proper caution should be taken during such times to ensure that one's health is not compromised. Try to stay indoors as much as possible to avoid being exposed to polluted air. Should you need to exercise, avoid outdoor exercises. Stay indoors instead. Being exposed to polluted air beats the purpose of the very exercise itself since the exposure will weaken the immune system, which can be damaging to your health. If you must go outdoors, make sure you put on a mask. However, not every mask is suitable for the haze. A surgical mask is unsuitable as it will not be able to filter the fine particles that can irritate your lungs. If you are to be exposed to the haze for a long period of time, ensure that you have an N95 mask with you. Make sure that the N95 mask fits you well. One who uses the N95 mask must remember that the mask should not be for prolonged use as it can cause discomfort in breathing, fatigue and headache. The mask is so efficient in filtering minute particles that it also increases resistance to breathing. Therefore, with the N95 mask on, the volume of air breathed may not be sufficient for the individual. If at any point of time one feels uncomfortable when having the N95 mask on, remove it and breathe normally. If difficulty in breathing persists, visit the doctor. It is always best to take extra precaution. Around this time of the year, air purifiers make an excellent equipment to have around the house. The sale of air purifiers usually skyrockets during a haze because only then, people start appreciating the importance of clean and fresh air. Water is important for the flushing out of toxins from the body. Without water, the body gets dehydrated easily and this will lead to all kinds of complications. With the haze around, it is even more important to ensure that you have enough water consumption to help the kidneys flush the toxins absorbed from the polluted air through the skin and lungs. Stimulants such as coffee and alcohol will promote fluid loss, which will weaken the kidney's function to expel toxins from the body. Such stimulants will also leach nutrients from the body, increasing the possibility of one falling sick. Strengthen your immune system with Vitamin C and Vitamin E. Eat a healthy diet at home instead of patronising outdoor restaurants, which will allow more opportunities for you to be exposed to the polluted air. With poor road visibility during the haze, it is best to avoid driving altogether. Work however, may not make this a feasible option. It is therefore important to turn on your headlights while driving so as to send a clear signal of your presence on the road to other drivers. If you do suffer from a particular condition such as asthma or heart attack, remember to keep your medication with you at all times as you may be at risk of having an attack with the haze around. As of yesterday, Banting in Selangor had the highest API record of 180. 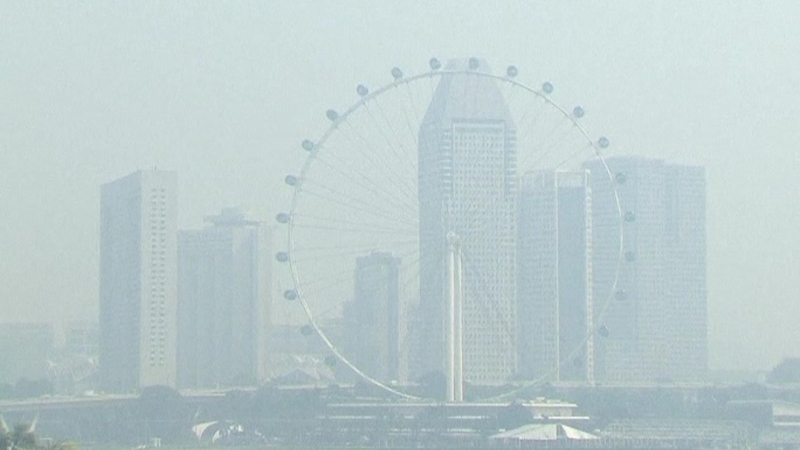 East Malaysia and Singapore are also affected by the haze. The occurrence of haze is common in Southeast Asia around this time of the year due to the burning of forests in neighbouring countries for the purpose of clearing land. The haze is horrible! Can't breathe. Can't eat. Can't do anything. Eyes hurt like hell! Why people so selfish don't know how to keep environment clean???? Always open burning here and there!! Do you have any good air purifiers to recommend? Is there a difference? Hi Siti Salmah, there are many brands out there. Some generate negative ions, some do not. Just like other products, there will be some better than the rest. Do your research online before purchase. We wish you all the best.